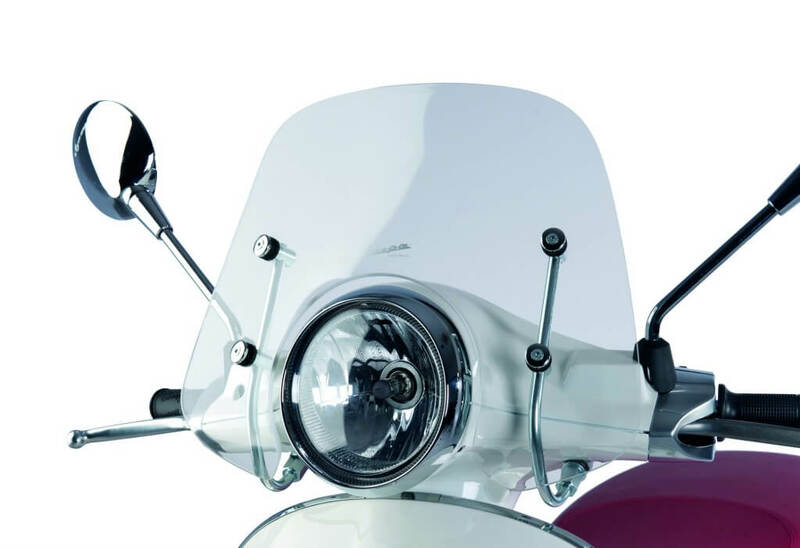 This genuine Vespa clear flyscreen is made of superior quality impact-resistant methacrylate. This medium sized shield offers effective protection and complements the style of your scooter with its good looks! Genuine Vespa Primavera Transparent Flyscreen. Flyscreen in superior quality impact-resistant methacrylate. This medium sized shield offers effective protection and complements the style of the vehicle. Suits Vespa Primavera 125-50 2T-50 4T. We have just a small selection of what we have in store here online! If you are chasing something we don’t have listed here, please either shoot us an email to [email protected] or give us a ring on 07 5455 5249 and we will do our best to help you out.